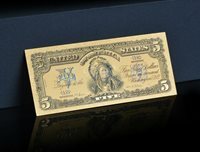 <TOUCHABLE COLORIZED>1899 "GOLD" SILVER CERTIFICATE INDIAN CHEIF Rep.* Banknote! OVER 70+Pc.MIXED~LOT! 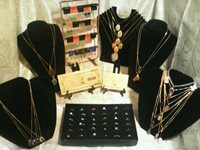 GOLD$100+RINGS/EARRINGS/GEMSTONES&CAB Necklaces & MORE! 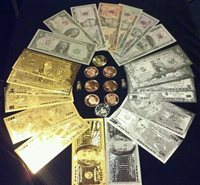 SLABBED ☆ COIN LOT>PROOF COINS IN CELLO/GOLD $100/.999 SILVER+MUCH MORE! 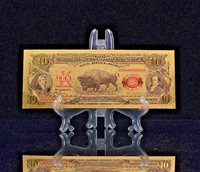 <MINT COLLECTIBLE Set>$500-$1 Billion GOLD Banknotes W/COA+Coin/SILVER Bar&!